We are opening The World of OKIDO, a pop-up shop and workshop zone, at Kings Mall this April. We are the latest to take advantage of the #StartUpMall initiative in Hammersmith, which is bringing the most exciting creative retail brands to Kings Mall. Better still your CBeebies favourites will be arriving in time for the Easter holidays! The World of OKIDO will include a shop where you will find everything from monster cushions and T-shirts to activity packs, books and games, as well as back issues. Throughout the month, we will work with our toy collaborators LEARN WITH OJO to launch a brand-new coding board game, the ‘Which Way?’ game. This brand new product will be launched through a Kickstarter campaign and will be available in store to see. The first 100 children to visit will also receive a free issue of the latest OKIDO Magazine. Each day a number of (free) ticketed workshops will run ranging from spin art to making moving vehicles, and nature discovery. Most workshops start with a screening of ‘Messy goes to OKIDO’ and will be run by one of the talented OKIDO team. All day you will be able to come and participate in self-led activities, all filled with discovery and wonder. Take your photograph with Messy and his friends, learn and doodle with some science worksheets or play with the interactive play-wall. 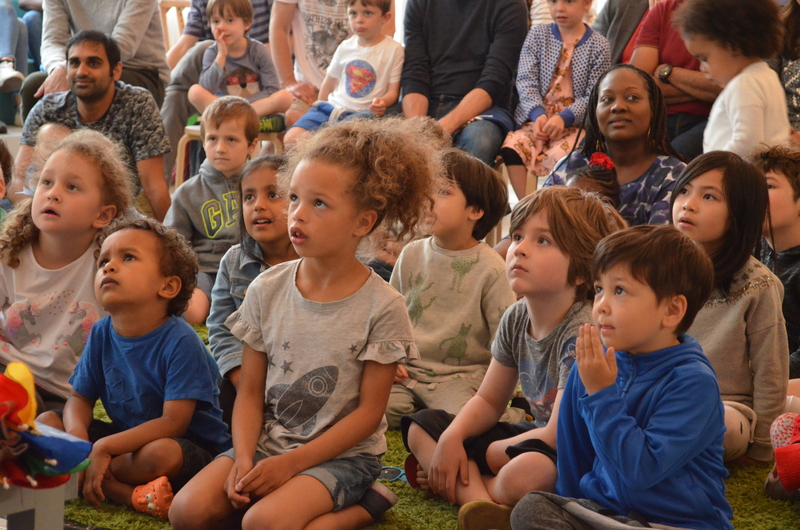 Every morning and evening, The World of OKIDO will host story time where you can come along and sit with the CBeebies monsters and listen to an OKIDO story or two. We are open Tuesdays to Saturdays (closed Mondays) from 9.30 to 6.00 and Sunday from 10.30 to 6.00. A full list of workshops can be viewed on Eventbrite.